Have native Hawaiians just scored a huge victory in their fight against the Thirty Meter Telescope on top of Mauna Kea? Native Hawaiians have been protesting the construction of the massive Thirty Meter Telescope since it was first proposed on the grounds that it desecrates one of the big island’s most sacred places: the summit of the mountain Mauna Kea. 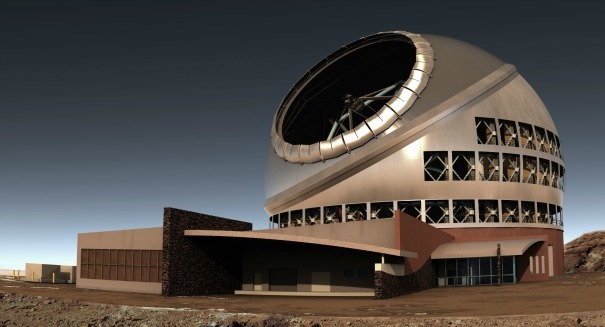 According to a report from CS Monitor, a Hawaii state judge has just nullified the construction permit for the telescope, which would have cost roughly $1.4 billion. It took the court quite a while to reach their decision. For months, native Hawaiians have stormed the state house as well as the annual meeting of the International Astronomical Union in Honolulu in protest of the structure, which would take advantage of the dark skies over the state’s tallest mountain. There were several reported cases of property damage and subsequent arrest, and the Hawaii Department of Land and Natural Resources was forced to restrict access to the mountain in the evening over fears that protestors would carry out a sabotage on the construction site. The court’s decision was long anticipated and underscores the effectiveness of peaceful protest in getting a message across. Native Hawaiians didn’t want this telescope to go on the top of Mauna Kea, and their voices were ultimately heard. The Hawaii Board of Land and National Resources made a mistake in 2011 when they issued the building permit for the telescope, the court said. They failed to adequately hear the argument of protestors, and the permit went through with little room for comment submission and discussion. A transcript of the court’s ruling on the permit can be found here.